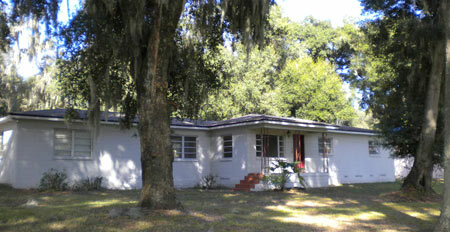 2700 SF 4 bedroom 3 1/2 bath block fixer up’er, situated on a 120’ X 299’ lot with a dozen, high canopy, mature oaks, located two blocks off of Highway 60 and Oakwood Drive in the heart of Eastern Brandon. Located one block from Nativity Catholic Church, large (.82 acre) beautiful lot, quiet neighborhood. The home is in need of much repair, but also has an 800SF block workshop on the back of the property. Well and septic. There will be a reserve on this property, but we are confident that the minimum reserve bid of $50,000 is much less than the property's current value. Call for more information 813-784-3926.